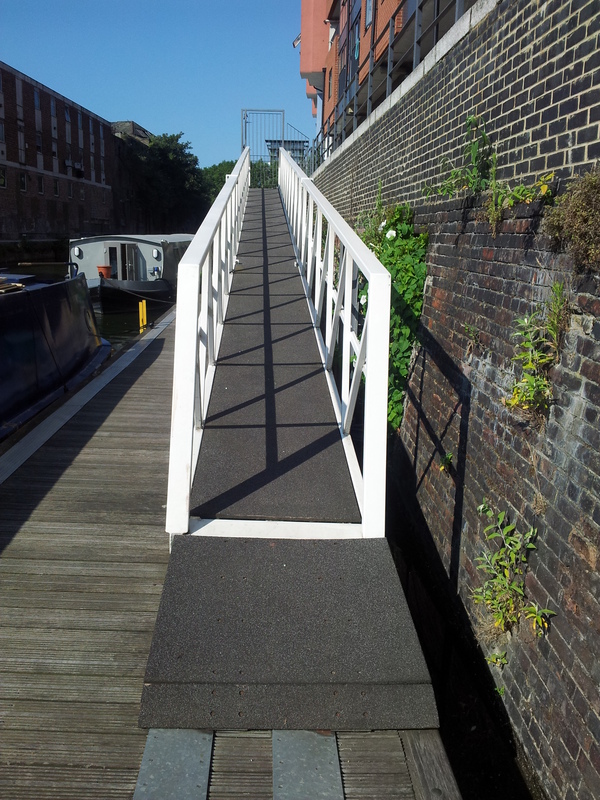 Situated on the Limehouse Cut Canal, close to Canary Wharf in London, Anderson's Wharf is a small residential mooring scheme which offers many facilities. 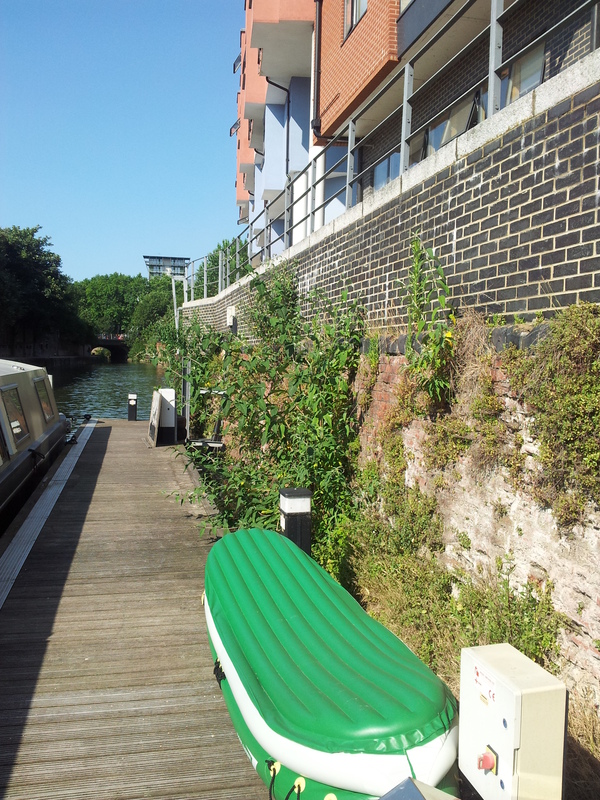 Being less than half a mile from Limehouse Lock, it provides easy access for boaters wishing to cruise the River Thames. 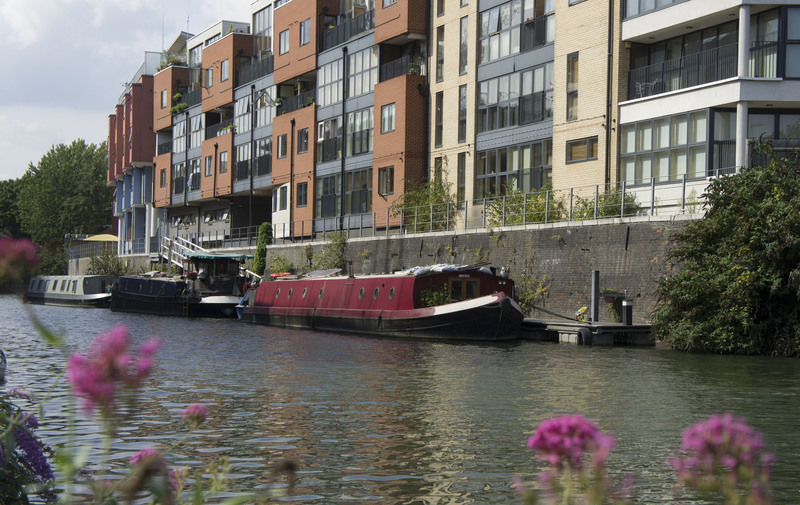 Other major attractions, such as the Queen Elizabeth Olympic Park and the historic area of Three Mills are located just a few miles north via the River Lee Navigation. The site is approximately 80m long and provides space for 3 vessels moored against a pontoon on the off-side bank. 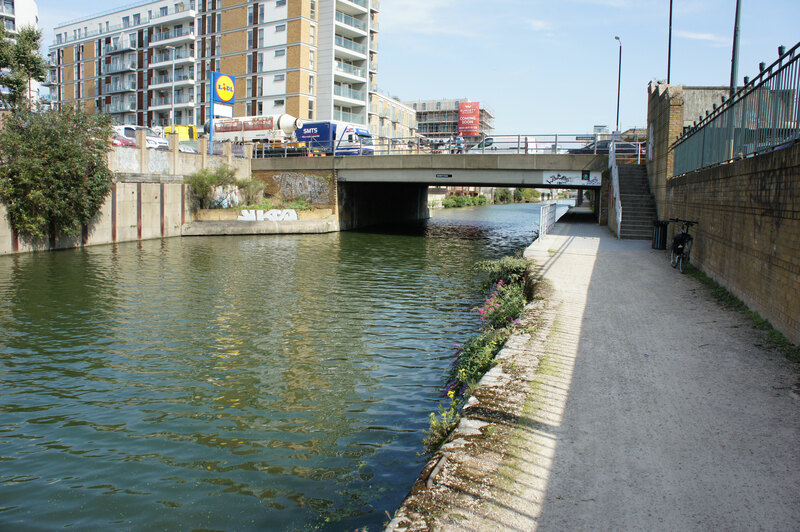 The site is located off Copenhagen Place, at the rear of Anderson's Wharf apartment block, between the A13 Commercial Road and A1205 Burdett Road. 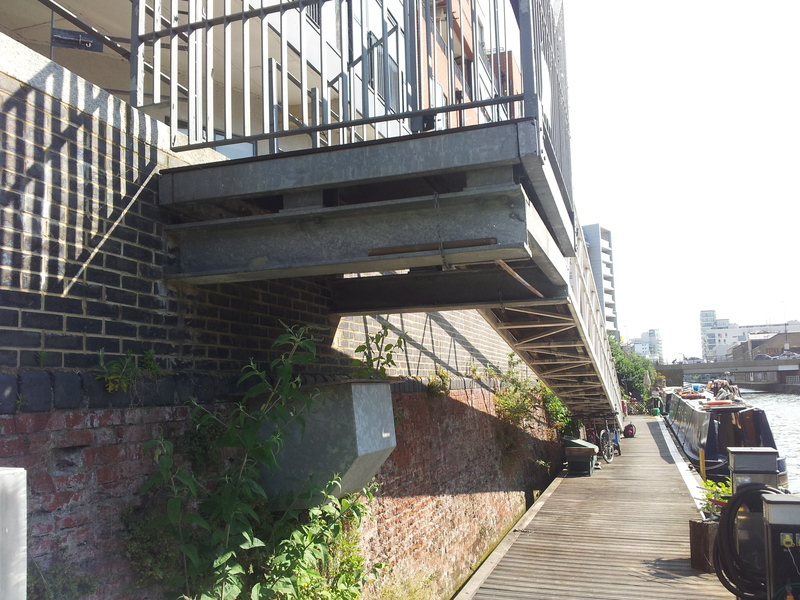 Access to the site is via a ramp down to the pontoon level from the rear of the apartment block. The site is approx. 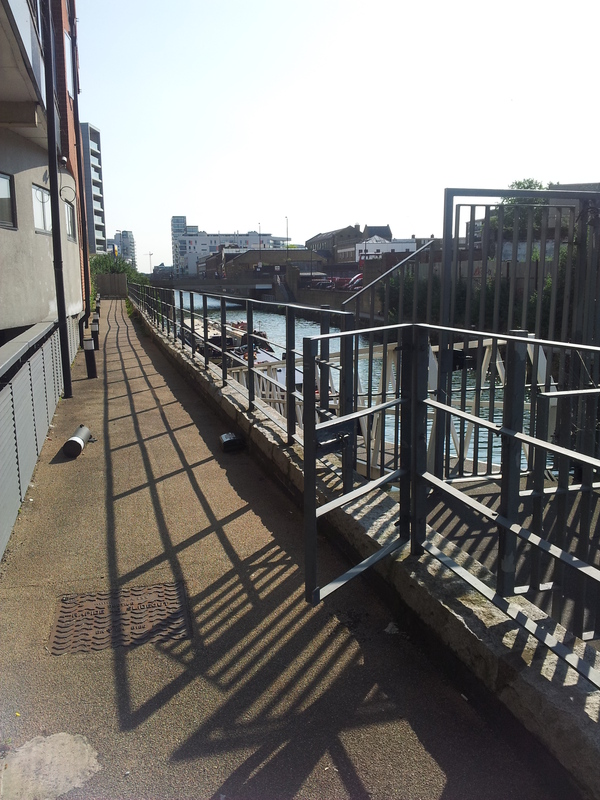 15 minutes' walk from Limehouse DLR / Mainline station via Commercial Road. Local bus routes are approx 5 minutes from the site on Commercial Road and Burdett Road. The nearest supermarket is on Burdett Road. Mooring cleats are installed on the pontoon for safely securing boats. 16amp Electricity is provided to each berth by Smart Meters where electricty is purchased via an online account. A pump out facility is available on site. The nearest elsan point is at Limehouse Basin and is approx 20 minutes cruise north of the site. Dedicated parking for boat owners is not available at this site. Limited on street car parking can be found in the area and residents parking permits can be obtained direct from the local authority. Storage facilities are not provided. All customer items must be stored on boats and not on the pontoons.